Close-fitting top in stretch cotton for maximum comfort. 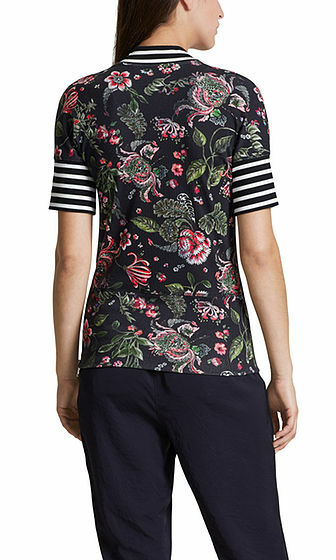 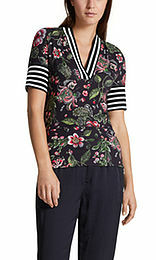 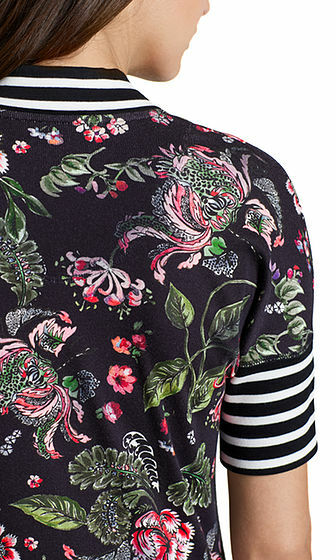 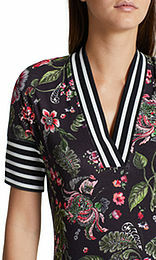 The top is printed with flowers that contrast harmoniously with the striped details. The side zip creates a decorative design element.